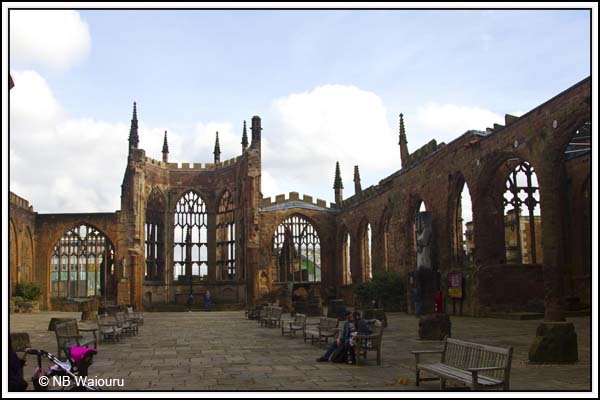 It would appear most bloggers write about Coventry Cathedral and the Transport Museum. I will endeavour to only briefly cover the Cathedral and will not mention the museum. 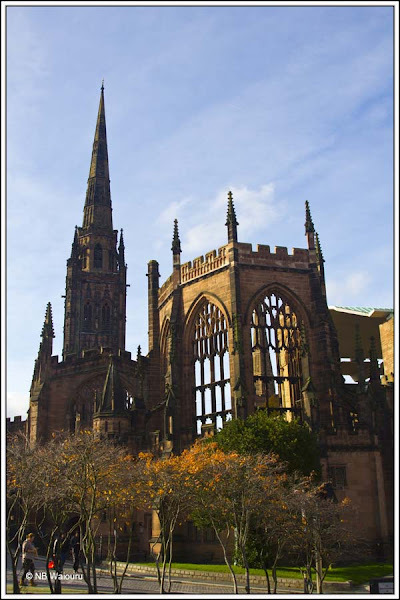 For those blog readers who are unaware Coventry was heavily bombed during the “Blitz” of WW2. Many lives were lost and the city cathedral was destroyed. The unanswered question is whether the British government had prior notice of the raid from intercepted Nazi intelligence, but took no action in order to protect the secrecy of the source? A new cathedral has been built adjacent to the ruins of the original. 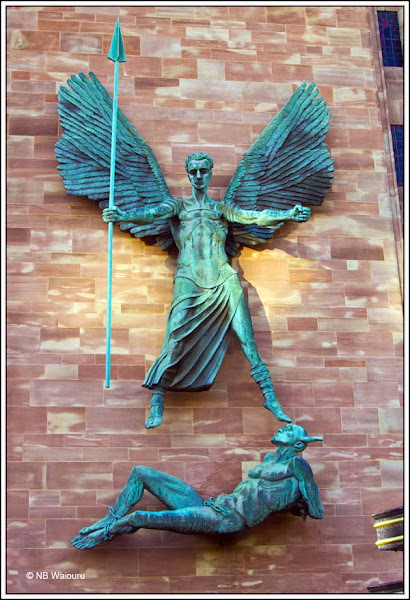 I didn’t take any photos of the new cathedral except the following, which is a bronze statute of an angel triumphing over Satan. Well that’s my interpretation. The angel’s modesty hasn’t been outraged but after looking up between Satan’s legs I can report he (yes Satan is a male) is well endowed and uncircumcised. Wandering around the city centre I happened to glance down a narrow lane and saw an interesting building down the far end. 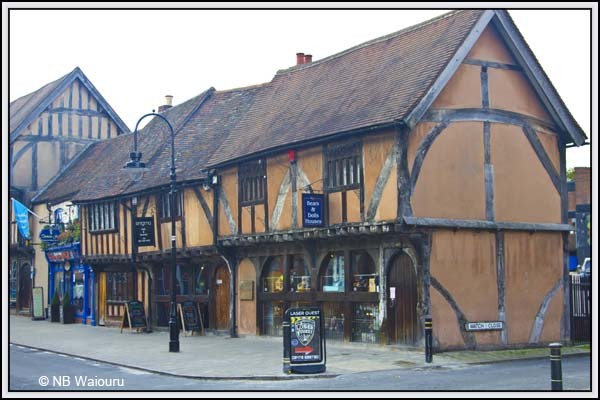 It’s an alms house dating back to 1509. 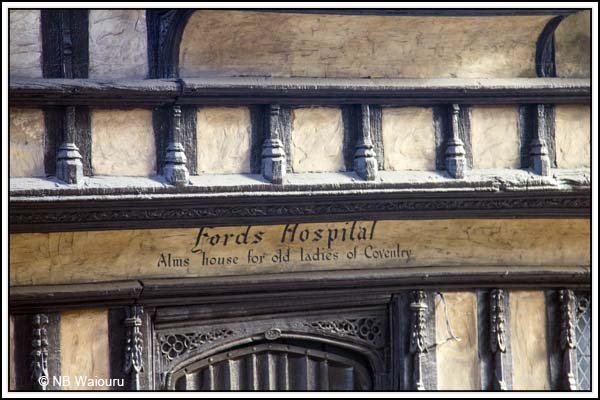 Originally it provided accommodation for five men and one woman but by the 1800’s it was exclusively for women. 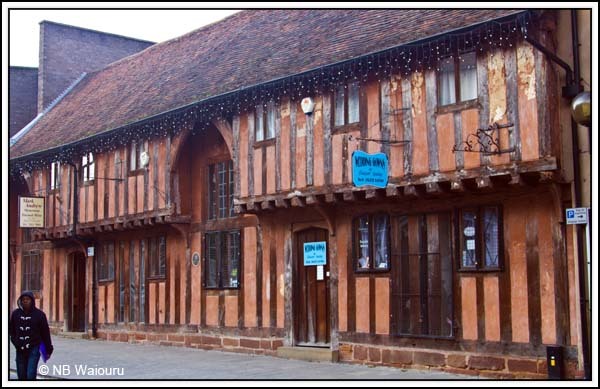 The building was bombed during the “blitz” and subsequently rebuilt in 1951 using original timbers. So despite appearance……… it not very old! On the opposite side of the town centre is Spon Street. 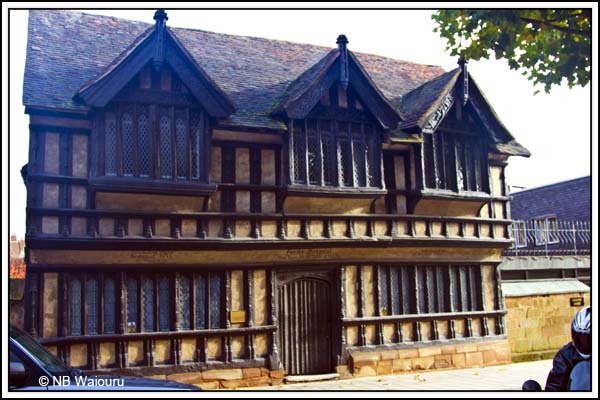 The Coventry Society website includes the following information about Spon Street. 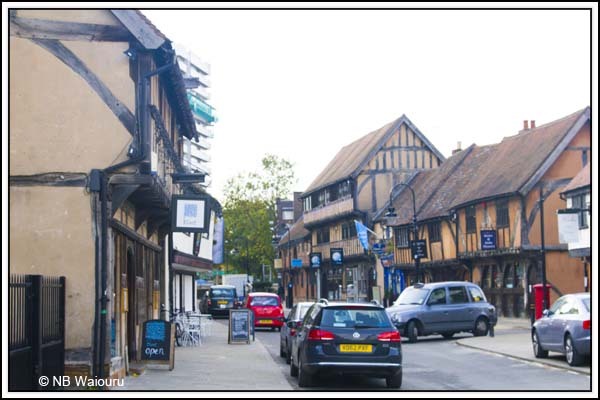 I’m starting to get slightly cynical about some of these “original” medieval streets and lanes. 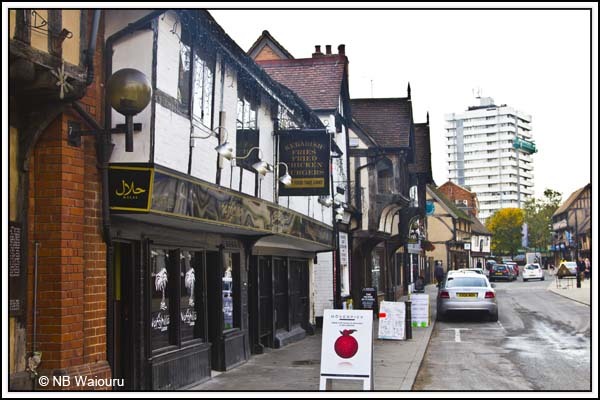 If I recall my history the great fire of London spread rapidly because the buildings were so close together. 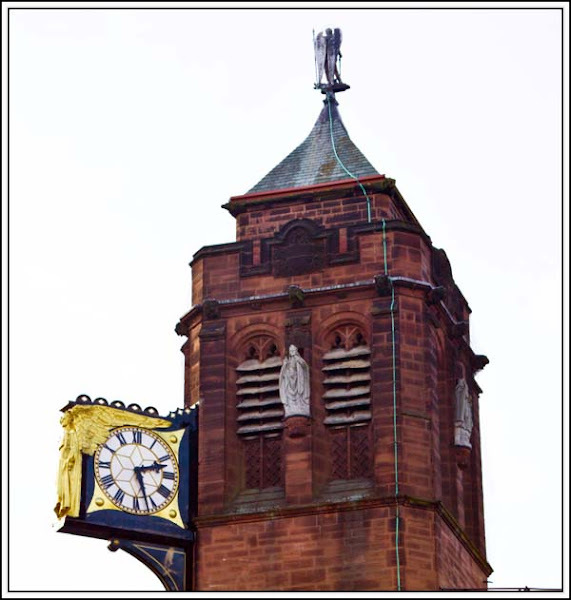 I also recall pedestrians had to watch out when walking below as chamber pots were emptied from upper windows. This street looks too wide! However the buildings are interesting. 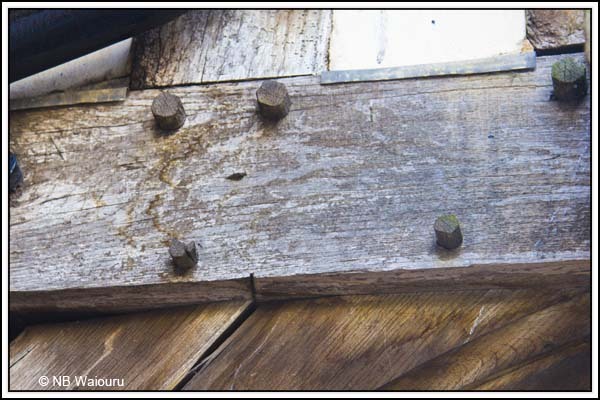 Some of the timber beams are still held together with the original timber pegs. And you also believe in the tooth fairy! Back in the city centre I liked the design of the clock tower. 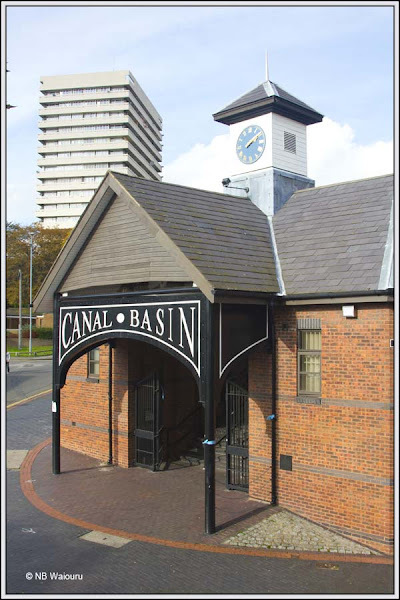 And so back to the Canal Basin. This was only a brief trip to Coventry. We will return at a future date for a more in depth look. Trivia! But not to him at the time I'm sure. My father, in the Royal Artillery in WW2, was a member of an anti-aircraft battery during the blitz of Coventry, before being deployed to Burma, finally making the rank of Battery Quartermaster Sergeant. During his time in Burma he was cut off by the Japanese for around 7 months or so, with no information reaching home. That is the extent of the information he was ever prepared to discuss, although he would say Coventry was a scary experience. I'd say your father got pushed from the fire to the furnace. From what I've read the social fabric of Coventry almost collapsed immediately after the raids. Could be another reason for the wide street here in Wells probably in the last century they removed a whole row of houses to widen the Street it then got the name Broad Street.